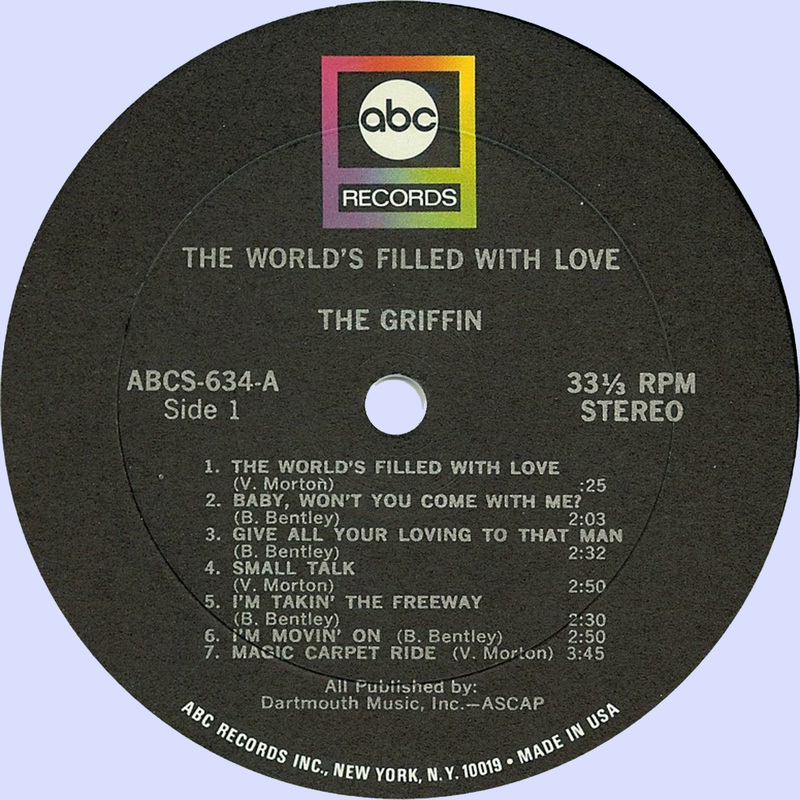 Griffin was an obscure flower power pop psych band with their 1968 ABC label album, optimistically titled “The World’s Filled With Love.” And anyone with a sweet tooth for the first two Strawberry Alarm Clock long players, or the mystical but still pop-centrific later Monkees albums, or anyone who still believes the world is filled with bunnies and pink cotton candy clouds, will find Griffin ’s naïve but surprisingly trippy outlook on life pretty reassuring. Griffin summoning up their inner Kahlil Gibrans when they sing “Know thyself is just a phrase, till some have passed through the haze. I’ve figured out the maze, in my other life.” As Ravi Shankar’s dad, I’m guessing, since they surround it with the same kind of floaty, mystical sitar and tabla head zones that George did on his passages to India , all bellydancing rhythms, snakey sitar lines and om-like chanting background vocals. I’ll take a thousand of these ambitious, “Within You Without You” electric sitar headswirlers over another bad bar band boogie track, and that’s in this life and any of my past lives. 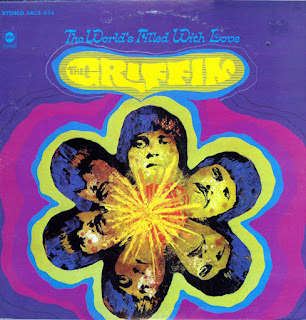 Elsewhere, the excellent “Magic Carpet Ride” is not a cover of the Steppenwolf karaoke bar perennial, but a tremendous popsike original, with upbeat tempo, moody minor keys and groovy hip lounge bar vocals – definitely a close musical cousin to anything off the first Strawberry Alarm Clock albums. Not quite soft pop, since the frenetic fast-paced rhythm could power any Nuggets band’s next garage single, and not quite garage either, since the lush and trippy vocal harmonies sound positively Beatlesque – this one straddles the genres like some tougher flower power anthem, and features a super groovy electric piano solo that beats the Doors’ “Riders on the Storm” by three full years. They’re still straddling genres on the killer “I’m Movin’ On”, a great organ-led pop punker with the kind of wild freakout break that lifted the Count Five’s “Psychotic Reaction” to legendary garage punk status. But again, the melody’s more pop-savvy than your average Nuggets nugget, so this comes off sounding more like a harder, trippier Monkees – think “Circle Sky” from the soundtrack to Head . So if Griffin ’s album straddles the grey area between soft pop and garage punk, it’s only natural. Because the world is filled with love and anger, youthful innocence and teenage aggression. And since every song on “The World’s Filled With Love” is connected to the next by some faint calliope organ music, maybe the world really is filled with pink cotton candy clouds too.